Avani Hotels & Resorts launches new wedding packages at ‘The Wedding Show – 2018’ to be held from 27-29 July at the BMICH. Couples booking their wedding or honeymoon packages at the exhibition at Avani properties will be entitled to an exciting array of benefits. With a multitude of picturesque settings; Avani Hotels & Resorts is the ideal venue for couples to celebrate their special day with glamour and grandeur. Choose from one of our stunning settings by the pool, ocean, lagoon or spacious ballrooms to exchange your wedding vows. Dance the night away in tropical paradise whilst our experienced event planners look into every detail with precision and our renowned chefs prepare your favourite cuisines. 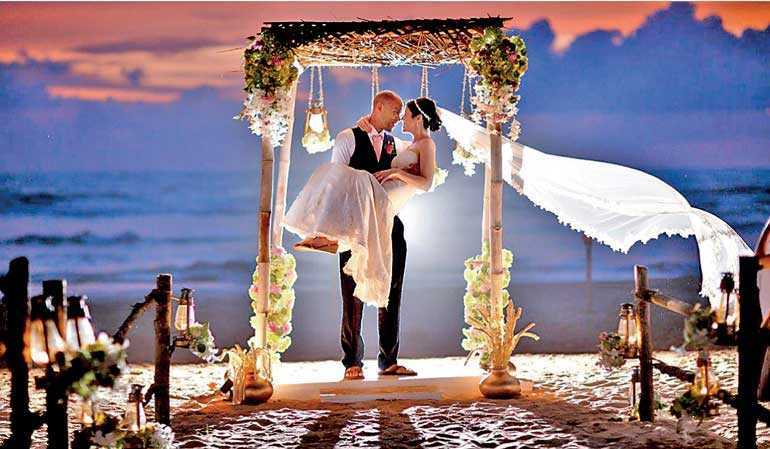 Located in Bentota, home to one of the finest beach stretches in the country, the Golden Mile Avani Bentota Resort & Spa gives you the opportunity to experience wonders as you celebrate your precious day amidst the swirling waves. Witness the magnificent sunset by the beach as you say ‘I do’, making this a picture-perfect location. If a garden wedding is of your fancy, then our lawn sprawling with palm trees is the ideal location to have your Pinterest inspired wedding. With vast expanses to accommodate a multitude of guests, Avani Bentota Resort & Spa has ample room to ensure that every guest will have the time of their lives. Avani Kalutara sits on a peninsular where the river meets the sea and vibrant gardens lead to a palm fringed beach that wraps around the resort. Couples will be spoilt for choice between the three settings available at the very same location to celebrate their nuptials. If a secluded and blissful setting is of your liking, the lagoon with its calm and serene environment is the ideal backdrop to tie the knot. Opt for a wedding ‘poruwa’ on the beach while exchanging vows amidst the traditional drumbeats or choose to have an indoor affair at the AVANI Kalutara ballroom with its spacious setting equipped with the modern facilities to make your event a memorable one. After months of tedious wedding planning, experience an unforgettable honeymoon getaway with honeymoon packages designed especially for newlyweds as they begin their lives together! Fall in love all over again and spend a romantic holiday at Avani Hotels & Resorts.